The Australian dollar faced its biggest fall in over two years and a possibility of China facing a slowdown. The local currency fell 5.2 percent over the past month. This week, the International Monetary fund decreased its growth predictions for China; one of Australia’s largest trading partners. Last week, Ford Motor Co. announced that it would stop making cars in Australia. 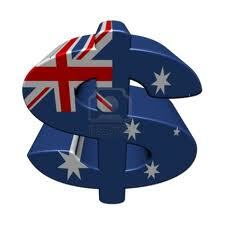 The Australian dollar slid 0.2 percent to 96.47 U.S cents in Sydney. The local currency dropped 0.3 percent to NZ$1.1929and gained 0.1 percent to 96.41 yen. The gross domestic product in Australia increased by an annualized 2.7% in the three month ended March, making it the slowest in over a year, according to data released by Bloomberg news. The IMF lowered the growth forecasts for China to 7.75 percent this year and from projections of 8% for 2013. The government said investments in commodities and energy has peaked, which could slowdown the Australian economy. Economist predicted personal income increased by 0.1 percent in the previous month, compared to the 0.2 percent from March.